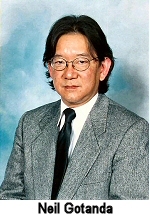 Philip Kan Gotanda is the third son of a second-generation Japanese American doctor who was interred in a camp for Japanese Americans in Arkansas during World War II. 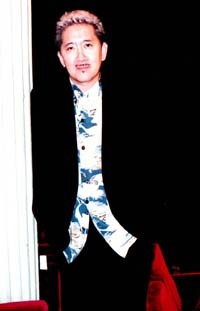 As a teenager, Gotanda was passionately interested in music and spent hours practicing the guitar, playing in bands, and composing songs. Enrolling at the University of California at Santa Cruz in 1969, he studied psychology for a year but left college to travel in Japan. There he discovered what he called "racial anonymity." Gotanda found that he still experienced minority status and identity, since he was regarded in Japan as a sansei—a Japanese American—and not as a Japanese. While working at the North Beach-Chinatown Legal Aid Society in San Francisco, Gotanda wrote his first play, a musical titled The Avocado KidM or Zen in the Art of Guacamole, based on a classic Japanese children's tale. Gotanda began to write plays for the Asian American theater companies in 1979. 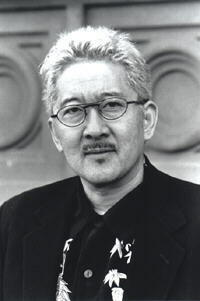 His work evolved from early musicals such as Bullet Headed Birds to straight dramas such as The Wash (1987), which is part of a family trilogy along with the plays Fish Head Soup and A Song for a Nisei Fisherman. Among his honors and awards are included: the Guggenheim, TCG-NEA, Rockefeller, PEW Charitable Trust, Civil Liberties Public Education Fund, and the Lila Wallace Readers Digest Award. Mr. Gotanda is also a respected independent filmmaker, his works seen in film festivals around the world. His three films: THE KISS, DRINKING TEA and LIFE TASTES GOOD, have all been screened at the Sundance Film Festival. LIFE TASTES GOOD, which Mr. Gotanda wrote, directed and co-executive produced with his business partner, attorney Dale Minami, will soon be seen on the Independent Film Channel. In his career Mr. Gotanda has embodied the heart and spirit of an artist dedicated to the telling of his own particular world's stories, in his own particular way. In the process, he has created one of the largest and most varied bodies of work about Asians living in America. Mr. Gotanda has shown to us that an unwavering commitment to one's own unique voice only allows for the vision to deepen and its impact on the world to broaden. Mr. Gotanda continues his personal project of mentoring younger artists. He holds a law degree from Hastings College of Law, studied pottery in Japan with the late Hiroshi Seto and resides in San Francisco with his actress-producer wife, Diane Takei, and their dog Mochi. US ASIANS: What responsibilities do you feel you have, as the result of being considered one of the leading American playwrights who happens to be Asian Pacific American? PHILIP KAN GOTANDA: A writer's responsibility is always to his or her art. To commit to it with a kind of disciplined vengeance. I consider being Asian American a state of knowledgeable being and as a consequence it cannot not be a consideration in any of my work. US ASIANS: It has been stated that your works focus on the Japanese American psyche, what are things other writers have not expressed that you trying to communicate to the general public? 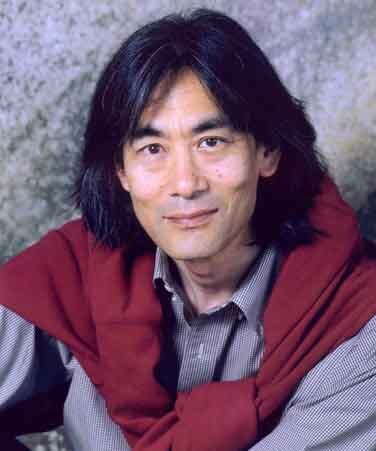 In addition to working in theater and film, Mr. Gotanda has collaborated with Maestro Kent Nagano of the Berkeley Symphony & Berlin Philharmonic and composers Jean-Pascal Beintus, David Benoit and Naomi Sekiya on an orchestral work with spoken text, MANZANAR: AN AMERICAN STORY, about the Japanese American Internment during World War II. This message (Internment Camps) is important because, as stated by Nagano, "One of the things that became very clear to me even as a child," he (Nagano) explained, "is that, like so many historic events, it's subject to so many different interpretations. There's no single simple story of what happened, and the times were obviously extremely complicated — like they are today — and any number of interpretations or revisions can come out of it." PHILIP KAN GOTANDA: My works focus on the JA psyche in large part because that's my personal history. If I'd grown up in an Irish Catholic family my work would probably reflect that psyche. I don't know if I even consider what others are writing. I don't know if that's bad or good, I just always assume what I'm writing is special. No one's holding a gun to my head to write this stuff, it's what comes out. And it's an alive culture, it's not Latin, so it keeps evolving and the stories are always relevant and contemporary. That said, if I feel like writing things with other than Asian American characters, that's fine, too. US ASIANS: How does a person with a law degree from Hastings College of Law, who studied pottery in Japan under the late Hiroshi Seto and worked as a musician, end up being a successful playwright? PHILIP KAN GOTANDA: I'm not sure, it's not what I set out to do. In fact through high school and college, theater never even crossed my mind. I was in Law School and didn't have the opportunity to play my songs in clubs. I decided to try my hand at writing songs that could be put into a longer, more staged form. The result was a musical. The actor, Mako, at the East West Players theater said he wanted to do it - so as soon as I graduated I went to LA and did it there. Knew nothing about theater, played on stage in the band and enjoyed the experience. Wrote another play with less music, then another with even less music and then a straight dramatic play. And suddenly I had this great job writing plays. I've been doing it for about twenty years now and so far it's given me quite an interesting life. "We're all beings in flux, in continual invention and reformation." Playwright Philip Kan Gotanda says in the preface to his new book ("No More Cherry Blossoms"). "The artist can…by the simple act of attention make an action in the direction of keenness, relevancy and liberation." On another note, my success in theater has allowed me to return to two other loves - music and film. I front a spoken word retro jazz band, the new orientals, with my friend Dan Kuramoto and some other LA musicians. And for the last 10 years I've been actively making independent films. Also, I still love a well-made pot. I can't think of too many things more aesthetically pleasureable than sipping green tea from a well-made tea cup. US ASIANS: How has your brother's, Neil Gotanda, background on race and constitutional law guided your creative muses? PHILIP KAN GOTANDA: Neil hasn't so much guided as informed my work. He's been a great sounding board and resource person. Neil's exceptionally bright. He's very knowledgeable with an interesting analytical eye that I've been lucky enough to have access to. I feel fortunate. It also helps that he comes from the same world as I. Everything that I know of my time growing up, he knows also. That creates a bond and a common reference point to examine issues. US ASIANS: In your opinion, why haven't Asian American literature (as noted at Jessica Lim's article on the impact of Asian American literature) at the article on Asian American Literature) been a greater influence within the theater, film and television industries? Is it because there are not enough compelling stories and/or quality of writing that has not provided more stories/plays such as yours? PHILIP KAN GOTANDA: I believe the quality is there. However, what you're talking about has to do with other forces. It really comes down to power, that is, whose got it. In the case of Asian Americans they still don't have the political and economic clout to necessitate being listened to. When they get the power, you'll suddenly find how influential and compelling their works will become. Philip Gotanda is firmly committed to writing plays like The Wash for Asian American theater companies, which he calls "the one place you can truly define what this thing called an Asian-American theatrical aesthetic is. It's the place where you can develop it in its purest form." His plays reflect a blend of elements from his own life experiences and the history of Japanese American society, dramatizing the intimate mixture of the two. US ASIANS: Which one of your plays most accurately reflects your passions, related to the Asian American student movement in addition to "The Wind Cries Mary." "I was secretly an FOB ["fresh off the boat"]." the character of Eiko -- a Japanese American female -- says in The Wind Cries Mary. "When I made fun of others I was really making fun of myself. You hated me? I hated me more." PHILIP KAN GOTANDA: FISH HEAD SOUP - this was a piece that was very much formulated along the lines of my evolving AA consciousness. It summed up what I had come to believe about the psyche of the Japanese American family. I was only able to finish the play by coming to an understanding of how internalized racism can be passed on generation to generation unless it's addressed. At the time that was new idea.